Best movie scene: Well I would have really wanted it to be something where Diana Prince was featured seeing as I’m an Amazonian warrior chic…. but I’m sorry, Batman vs Superman with Wonder Woman wasn’t all that. Captain America is a softie in my opinion, it was great that he broke a few laws in the Civil War. The movie that I thought had the best fight sequence this year. The Scene: Airport Battle? Woohoo! Especially between minute 2.30 – 2.50. OH EMM GEE. Other notable mentions for good movies that I watched this year: Deadpool; Life, Animated; Microbe and Gasoline; and Moana. Also, Girl Asleep is one of the most weird movies ever made. I liked the travelling that I did this year. We had two family trips this year, one was a road trip during Easter and the other was a crazy US East to West Coast hopping that I’ll never forget. I realized that generally travelling is stressful to me so I need to take a NSAID otherwise my joints will kill me. 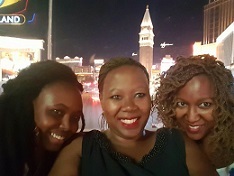 Pic with Hipilicious and Waruguru – what happens in Vegas stays in Vegas and this was my best trip! Most eye opening trip was to into the deep of conflict in North East Nigeria. Where villages have been destroyed, there is no infrastructure to speak of and women have to cover up even if they are Christians. BUT. The girls/women who sell stuff (snacks, trinkets) on the roadside put on lipstick everyday. I also went to the Nairobi ASK show. I had been meaning to go for the fair for the past couple of years and this time it actually happened. Skinny, Jumwa and I were there by 6am! It is too dusty and the two of them came out of there with skin burns from sliding down a bouncing castle…. New best friend: Well, it happened! I got a new best friend. This person was kinda forced into this position and begged for mercy “Please don’t do this! I’d do anything to get out….etc” But there is no changing my mind. Best stage performance: Disclaimer: If you are offended by strong language and someone openly gay, please don’t check out the genius that is Todrick Hall. ….What can I say. I watched the best performance ever on stage when I watched Todrick perform his Straight Outta Oz piece in Portland. I dragged Waruguru along with me for that show and she had never heard of Todrick before; she had a blast too! It was nothing dramatic, nothing over the top, just live music and a story delivered from the heart. I could rewind that night a couple of times. For reference, Todrick beat 2 Cirque du Soilel (Ka and Mystere) shows that I watched in Vegas. Best Discovery: Keto as a way of eating. I can’t believe how eating 75% fats, 20% protein and 5% carbs affects me. I have no brain fog, no pain in my joints, I sleep better, have loads of energy and mornings don’t seem too bad. If only I can keep away from cake and chapati. I have come to learn how to cook pancakes using almond flour or coconut flour or cream cheese! 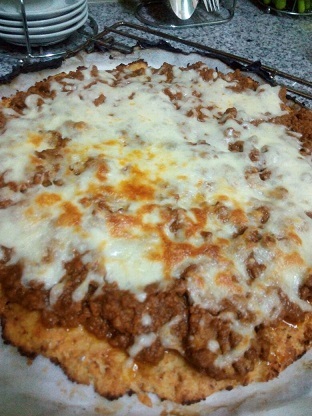 I can also make a mean cauliflower base pizza (no wheat!) and my meat balls are on another level of awesomeness if I can say so myself. Only downside is that if you aren’t used to this way of eating, you’ll have a very loose tummy if you eat these foods. My digestive system is now used to this combination so I just need to keep this up for real. Best Book: This has been a bad year bookwise (as I have read few books) and an even worse one for my book club. Most of the books selected this year have been, uhm, looking for polite words…. they have been not so good. The only 2 books I recall thinking of after reading have been Igoni Barrets’ Blackass and The Honey Guide which is actually set in Kenya with a Maasai protagonist. Blackass came to life and became super real to me when I went to Nigeria, white worship is real. So not really the best books but the most memorable ones. Best Song: The song that has been on repeat is an old Randy Rothwell song – Great and Mighty Army. All the same, the number one song for me this year was from the movie, Alice Through The Looking Glass – Just Like Fire by Pink. The video is also pretty awesome, the colours, graphics, animation, special effects, the whole Alice story in 3 and a half minutes. I also had fun teaching Jumwa about old hip-hop legends. Health – There hasn’t been a full week when a member of my family hasn’t been unwell. There is one week where we had to take Mrs. Adrian to the hospital four times. My sisters have been awesome with this – not complaining or being grumpy about this. God bless them! Even though there are a couple of health related challenges, I really thank God that Mrs. Adrian hasn’t had to go to India this year. Woohoo. Being content – I realized that I am not always happy or full of joy in the Lord. I always have a goal that I haven’t met, that one thing that I need to do to be happy, that one thing that is preventing me from being content. It is a never ending cycle because once a certain goal is achieved then it starts again, if I only had this one thing then I’d truly be happy. I have been sad this year about stuff that I don’t have control over and can’t change. I need to up my psychological game and learn to be content. Family – Unfortunately one of my low lights this year was learning that being family doesn’t necessarily mean being friends. Sometimes it is better for your sanity and well-being if you just keep that in mind. I’ve seen some people who are broken because of family member actions and now I think that as long as you can fend for yourself: protect your heart and mind. They are family – blood is thicker than water – and you need to love them like Jesus loves us but you don’t have to be their friends. Living situation – after making the leap and moving on to the other side of town, I am not really happy with that situation. My neighbours act like nursery school drop outs – fighting and fussing over small and silly things (like why can’t we market goods and services on our estate WhatApp group) while the major items (like our security, petty theft and flaunting lease clauses) are generally ignored and made fun of. It is so upsetting, I keep on having to woosaah alot. I miss Osumi! Otherwise, it has been a good year and I am really looking forward to 2017.